1Conquest % Cash Back. Stackable % Cash Back for customers who have owned or leased a 2005 or newer Non-GM Vehicle for a minimum of 30 days. Allowance Available on Retail Program info. Compatible with % Off and % Conquest Private Offer ONLY. All Programs Effective Until 4/30/2019 Unless Otherwise Indicated. 2Not available with special finance or lease offers. Take delivery by 04-30-2019. 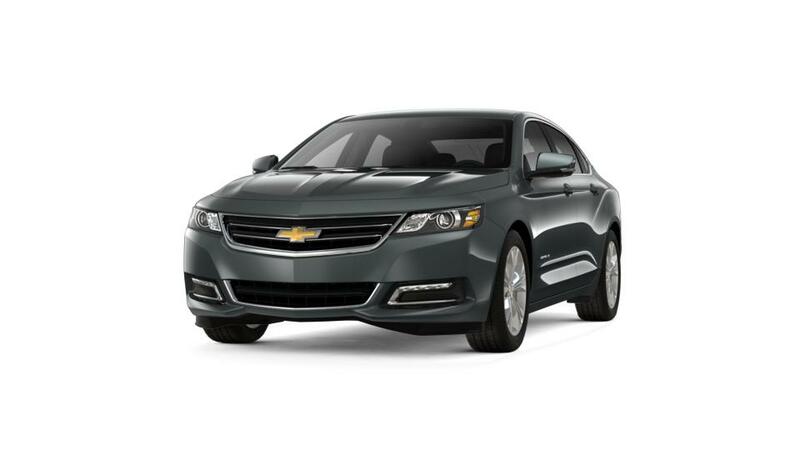 The Chevrolet Impala is a family-friendly sedan that is safe, dependable, and fun to drive. This specific vehicle boasts a well-crafted inner surface that features cozy seats as well as awesome cuts. The athletic-looking exterior of the automobile cuts an excellent physique which is bound to grab your senses. By means of state-of-the-art systems, including the built-in 4G LTE Wi-Fi and also the sophisticated MyLink infotainment system, you'll be able to stay connected anywhere you go. Utilizing innovative security systems, like forward collision alert, lane departure warning, side blind zone alert, plus rear cross traffic alert, this automobile takes care of a person's protection. This vehicle comes with 6-speed automatic transmission and also the V6 engine which will deliver a great performance. This impressive vehicle is truly worth it; drop by our dealership, near New Milford and Poughkeepsie today, and take this full-sized car for a spin. You can check our hours and directions page to visit our dealership.